Provided by the published via NetGalley. All opinions are my own. In October, after Thanksgiving we start to get excited about Halloween. Since it's not really a big holiday here in Japan, I try really hard to give my kids an idea about what Halloween is like back in Canada. I have amassed quite a number of Halloween books and DVDs! This is a new addition to my ever-growing collection. This is a poetic look at a Halloween party for pumpkins, scarecrows, ghosts, and witches. The rhythms are enticing to the younger crowd and have enough puns to keep the adult reader happy too ("the spider's on websites"). The text itself is good for a new reader but the gothic style it's in would be difficult for a new reader to puzzle out, although it adds a lot to the spooky atmosphere. 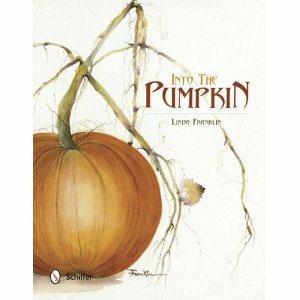 Most picture books on Halloween are pretty light, with cute characters so as to not spook younger readers. But half the fun of Halloween is facing scary characters and waking up stronger on November 1. The illustrations in this book definitely provide shivers! I wonder what's in that witch's brew! The ethereal faces of the witches and ghosts really bring the creep factor up a level! Luckily this is tempered by adorable dancing skeletons on the next page. This would be a great read aloud book for kids with strong constitutions who love to be scared. I know a few of those kids although I was never one myself! My kids like a good, safe scare! Thanks for sharing this!